Krosno or Korosno [Коросно]. Map: IV-2. 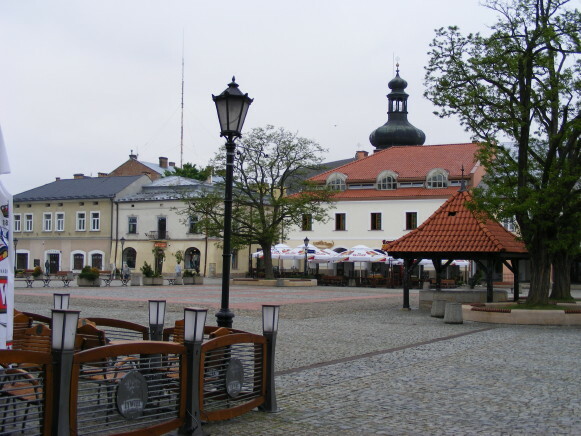 City (2006 pop 47, 693) in the Lemko region, now in Subcarpathian voivodeship in southeastern Poland. During the times of Kyivan Rus’ and the Principality of Galicia-Volhynia, Krosno was a town in Peremyshl principality near the Polish border. Later it came under Polish control and received the rights of Magdeburg law, probably in the mid-14th century. From the 15th to 17th century it was a famous trade center with strong commercial ties to Hungary. The Krosno region was Polonized long ago, except for its southern part (several Ukrainian [Lemko] islands), which in 1939 had 8,700 Ukrainian inhabitants among a total population of 9,400 and remained Ukrainian ethnic territory until 1945 when most of the Ukrainians were forcibly resettled (see Resettlement and Operation Wisła).